Desireé is committed to helping families facing challenging family law issues, such as divorce. Desireé received her Juris Doctorate and Bachelor of Arts from the University of Texas at Austin. Prior to joining Hargrave Family Law, Desireé was the managing attorney for another family law firm located in Austin, Texas. She is dedicated and experienced at being an advocate for families in a wide range of family cases, such as divorce, child custody, enforcement of custody and visitation, child support, and adoptions. In addition, Desireé is trained in family law mediation. Desireé has always been passionate about advocating for those who are unable to advocate for themselves, primarily children. Prior to becoming a lawyer, she worked as a Guardian Ad Litem and Court Appointed Special Advocate (CASA). As an individual who did not experience a "traditional upbringing," Desireé knows the potential trauma of a child who is caught in the middle of a custody battle, and is dedicated to assisting families with children determine what solution is best for the entire family. Desireé lives in Richardson, Texas, with her husband and toddler son. 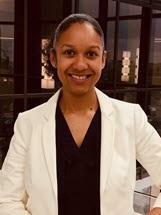 She is active in several organizations, including Texas Young Lawyers Association, Leadership State Bar of Texas, and Junior League of Richardson.